I’m a bit of a fan of eighties movies and I particularly love the scenes set in London during National Lampoon’s European Vacation. There’s a great moment where Rusty Griswold is flicking through TV channels before he realises that there are only four to choose from (and they’re all showing programmes about cheese). It’s true that in terms of choice, England lagged a long way behind the US in those days. But thanks to innovations from Sky and VirginMedia, us sofabound Brits have all the TV choice in the world (whether this is a good thing is another, much longer, article). Unfortunately for the likes of Sky and VirginMedia, generation Z aren’t watching TV. They’re watching Youtube and Netflix. They’re also not watching it on televisions, instead viewing videos on tiny smartphone, tablet and laptop screens. Is this a choice? Well, probably in part. 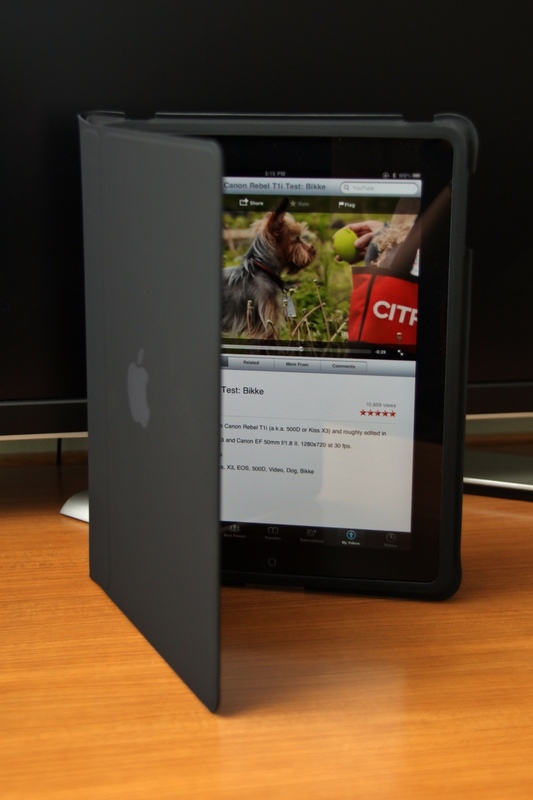 Those devices allow you to watch videos almost anywhere. But it could also be because, unless you’re of a geeky persuasion, it’s not at all easy to get these internet-based services onto the television. 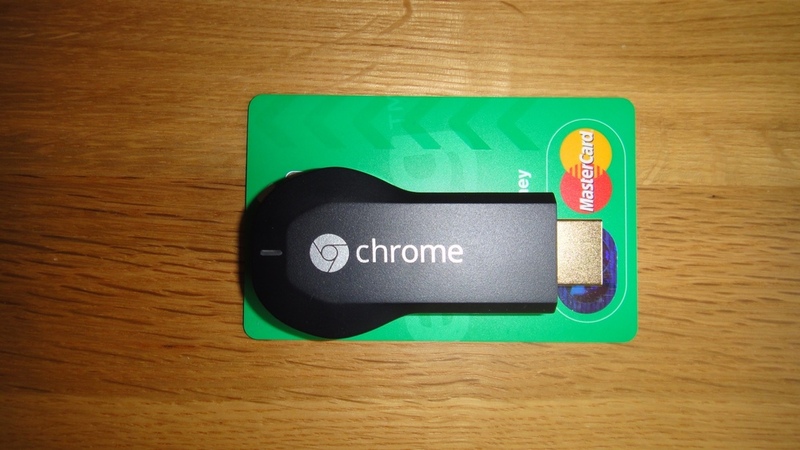 But that could be all about to change with the introduction of the Google ChromeCast. 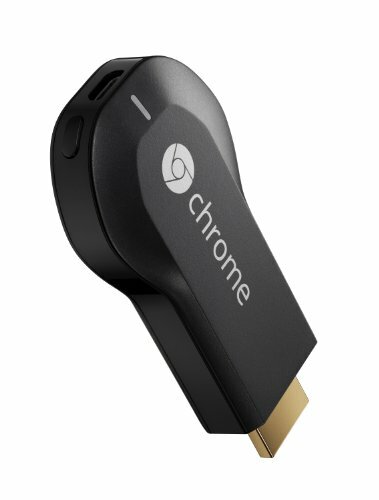 The ChromeCast is a cheap, easy to use adaptor that lets you enjoy video from your apps on the big screen. Your phone or tablet becomes a posh remote control. It’s certainly cheap, but is it really easy to use? Equally importantly, is it actually any good? Being based in the UK, I’m pretty lucky to have my hands on one of these. They’re not out here yet, with no word on a release date. However, they are readily available on Ebay for a modest premium over what our US friends get charged on the Google Play store. At about £30, I would suggest that it still qualifies as a cheap device. So what does your thirty notes get you? Opening the box reveals what looks like a chunky USB flash drive. Closer inspection reveals that the connector is of the HDMI variety and the dongle simply connects into a free port on your flatscreen television. HDMI carries video and sound, but not power. For this you need to use the Micro USB socket on the end to connect the ChromeCast to a free socket on the television. If your TV, like mine, doesn’t have USB, Google have provided an adaptor to connect it to mains power. Once connected, change your TV over to the correct HDMI input and you'll see the ChromeCast welcome page. Now it's time to download the ChromeCast app to your device in order to get set up. This presents a slight problem to us UK folk, as the apps for Apple and Android devices have not been made available on the app stores. I tried a few tricks (VPN apps which make your phone appear to be connecting from the US) but the app stores were having none of it. Fortunately, the website for my Windows PC worked fine and I downloaded and installed successfully from there. 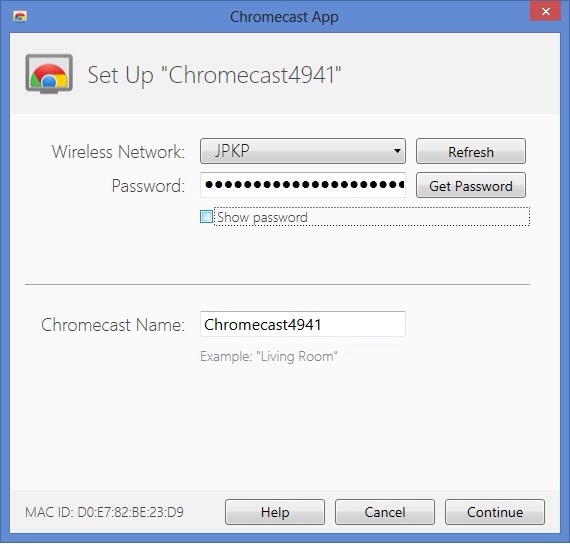 The app simply exists to connect your Chromecast to your WIFI network. From there, you can use your smartphone apps to 'cast' your video over to the ChromeCast for big screen viewing. Add the Chrome browser extension, which allows you, at the press of a button, to cast the open tab onto your television (the blue icon represents the cast button). That's it! You're good to go. 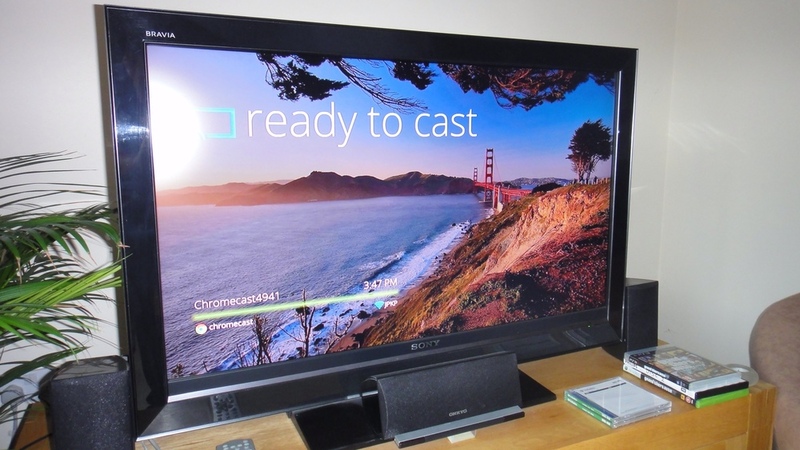 Watching the tutorial video will teach you how to cast video to your TV. So once you're up and running, the ChromeCast sits patiently waiting for you to send some video, or cast as Google term it. It's important to note that you can't just send any old video. In fact Google are currently dealing with some bad press for blocking an app that allows you to send your own videos to the ChromeCast. Whilst that's being sorted out, you have to stick to YouTube, NetFlix or Google Video via your phones and tablets, plus the Chrome browser if you're using a PC. Youtube works fantastically. Your gadget becomes a posh remote control and video looks great up on the TV. 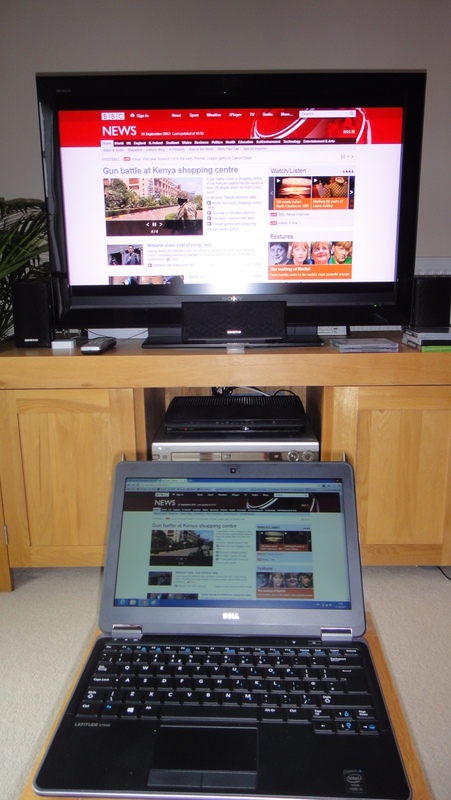 Similarly, if you want to surf the web on a big screen, the ChromeCast does a good job, although it is a little slower than the screen on your computer. The one disappointment for me was the app that would probably make this an absolute must-have. Netflex video quality is poor. Think Youtube from about 5 years ago. The picture is blocky and the detail is lacking. This is a great shame, as it would totally avoid the need to buy a smartTV for most people - but if Netflix is your reason for reading, I'm sad to say I think you should look elsewhere. So for turbo-charging a YouTube addict's television, I recommend the ChromeCast. It's easy to setup, easy to use and the experience is as good as it gets on the TV screen. Likewise, the Chrome browser works well, even playing back embedded video (for example BBC news clips) in good quality. Had the Netflix app performed as well, I would be shouting this gadget's praises. It's still a very cheap way to get this excellent service, but on my 40" screen, the picture just wasn't good enough. Google are expected to be adding more apps for the ChromeCast over the coming weeks and months. Hopefully this will include updates to improve what's already there and then the ChromeCast will move from being a good gadget, to a great one.